One of the world’s most popular media players, the winamp is now available in beta for Android 2.1 OS and above. A complete Android media management solution, that seamlessly syncs with your Winamp desktop library (USB or Wi-Fi). No need to tie your Android phone down. Enable Wi-Fi sync and leave your cable behind (Winamp 5.59 beta required). Quickly pause, change tracks, manage your play queue, see what’s playing and access the Winamp home screen. The play queue is a temporary track listing that allows you to easily select and sort tracks. And if you like, save it as a playlist. Add playlist shortcuts and the widget player to the Android home screen. As well as enable playback control from the lock-screen. Displays song info, album art and more. 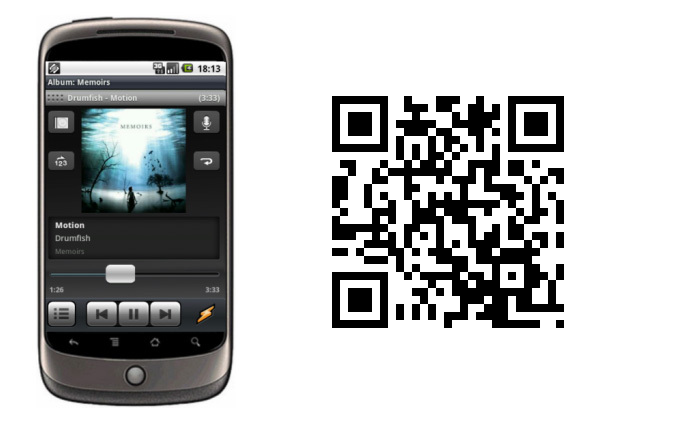 Press and hold on the song info to interact with other apps like Pandora, YouTube and the Amazon MP3 Store. Supports scrobbling with the Last.fm app installed (on your Android device). Capturing all of your mobile listening history in real time.